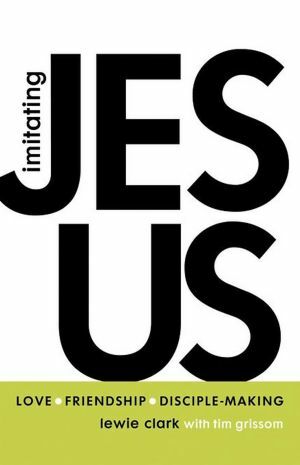 Touching on the importance of love, belonging, hospitality, friendship, and community, Imitating Jesus tells the story of author, Lewie Clark, and his experiences making disciples of Jesus. Clark explains the importance of discipleship and strengthening relationships with God and others to accomplish a meaningful Christian life. Would it be out of bounds to ask you give Brent my email address and have him contact me? I would love to hear what he has learned, or at least what he is doing. My personal email is apr0995@gmail.com – April 9, 1995 is the day Jesus radically change my life….hence the email. I was a freshman in college. That is a day I will never get over…and thanks to men like you, I am growing in my understanding of what it means to be a disciple. Just love the Jesus God in your life choose life and love and the desire for the kingdom will inspire! Well start to prepare for the creation of his Fathers and mothers , god and mother goddess are here as well it is also thier heir(we who love God)there’s much change in heavens kingdom!excitement!! Could you possibly send me a pic of the table of contents? I’m intrigued of what I’ve read about the book but wanted to see how the book is laid out. Thanks!